Saturday we took a family trip to Krueger Pottery in St. Louis. Ryan is great to work with and he graciously tolerated the chaos that our brood of five little ones created in his store. He offers a wide variety of tools, glazes, equipment, embellishments, and if there’s something you’re seeking that he doesn’t carry he can certainly order for you! They even offer kid and adult classes in their studio! 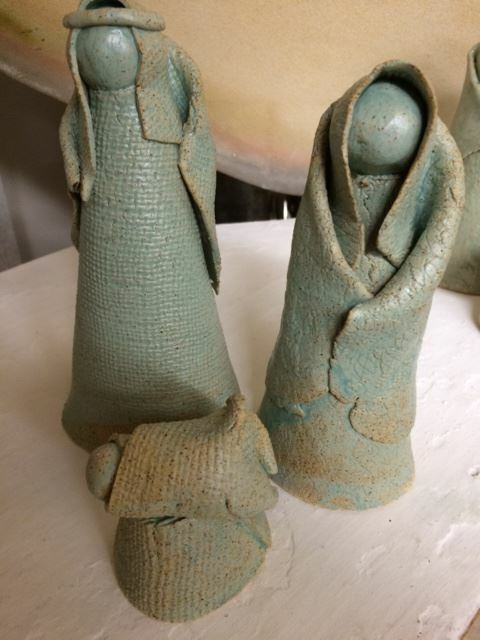 One of our goals was to find a few new glazes that would work well with the newly created Nativities. We settled on three: Aqua, Spring Green and Celadon. 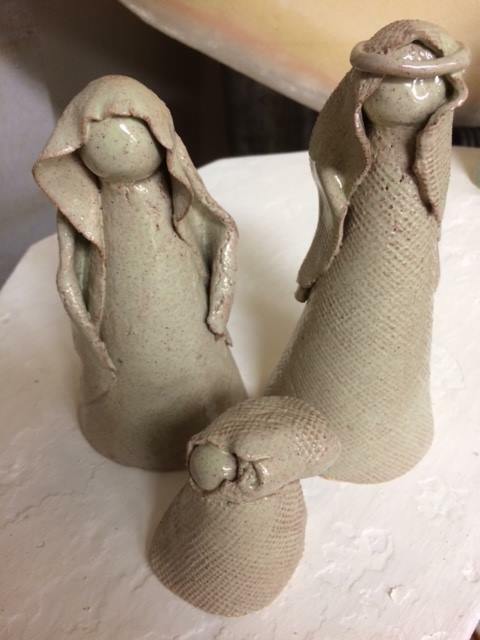 Sunday provided the opportunity to glaze the pieces and start the kiln, but that brings us to the worst part…waiting anxiously for the firing to finish so we can see the finished product just as a kid anxiously awaits Christmas morning! Monday night at 1100degrees the kiln was cracked for the first peek. 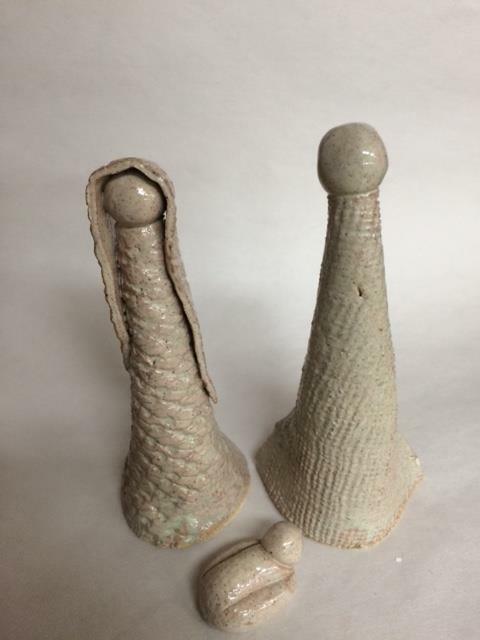 Today things had cooled off enough to FINALLY handle the new pieces! The results were pretty exciting. 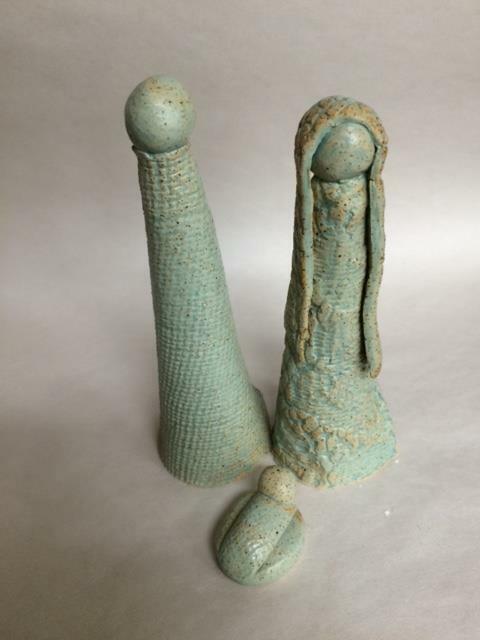 Medium 3 Piece Nativity in Aqua Glaze. 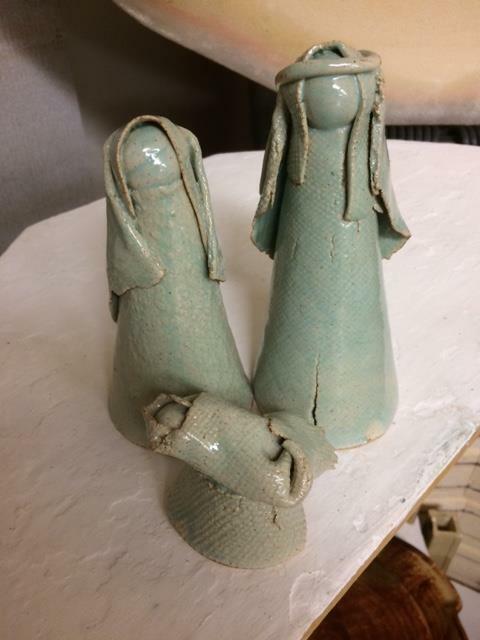 Medium 3 Piece Nativity in Spring Green Glaze. What do you think? We would love to hear your feedback. For pricing you can check out our FaceBook page. 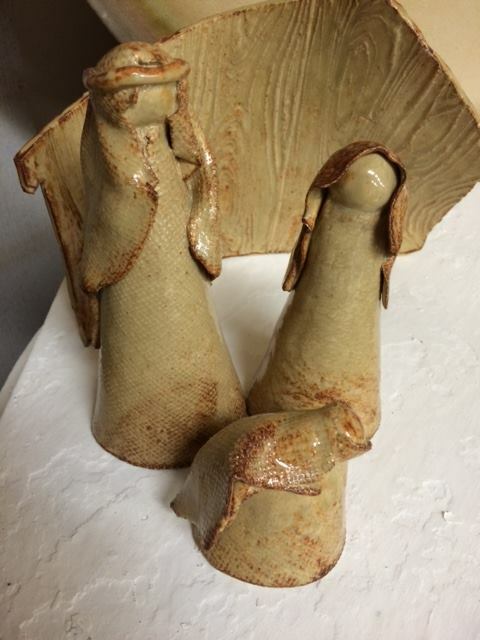 Nativities are being offered to Facebook fans before putting them on our Etsy shop.